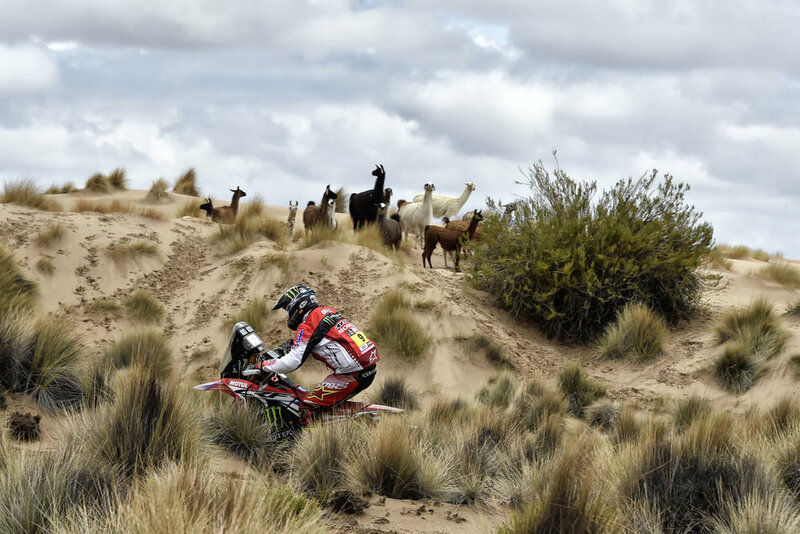 The Monster Energy Honda Team is going all out in the battle for the Rally Dakar 2017 as the squad posts their best podium finish to date. 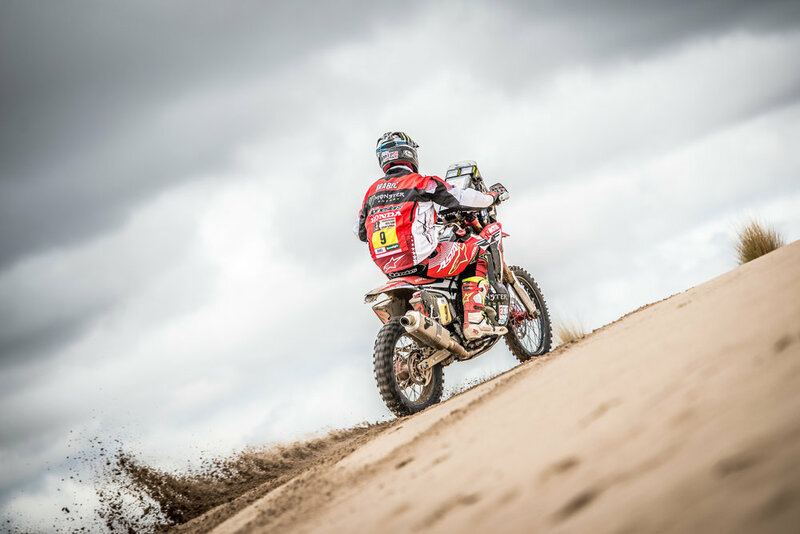 Today, Ricky Brabec picked up top honors for the first time in the rally, with team-mate Paulo Gonçalves taking second spot. 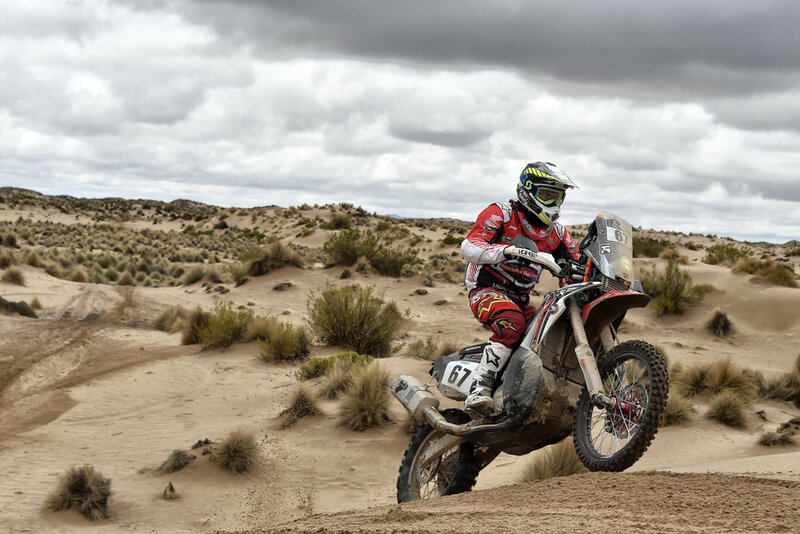 In third, Sam Sunderland did all that was necessary to limit the damage and even increased his lead in the general standings over Pablo Quintanilla. Ricky Brabec: "Today was good. It was the first day of the marathon after the rest day. 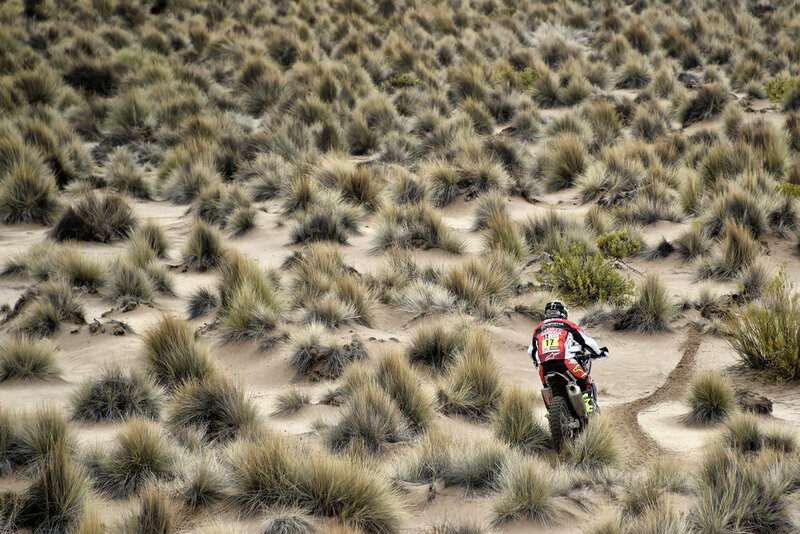 The track was good and the navigating went well. 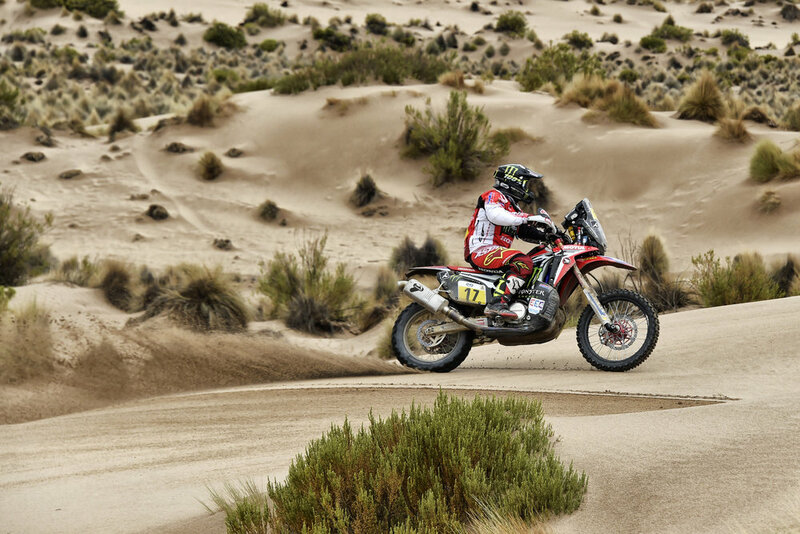 There was more off-road than on-road, which is more my style. I’m happy to be here at the finish-line in spite of my slide out in the grass where I went swimming. These bikes are pretty slippery in the mud. I’m happy to come away in one piece, healthy and ready to go tomorrow." 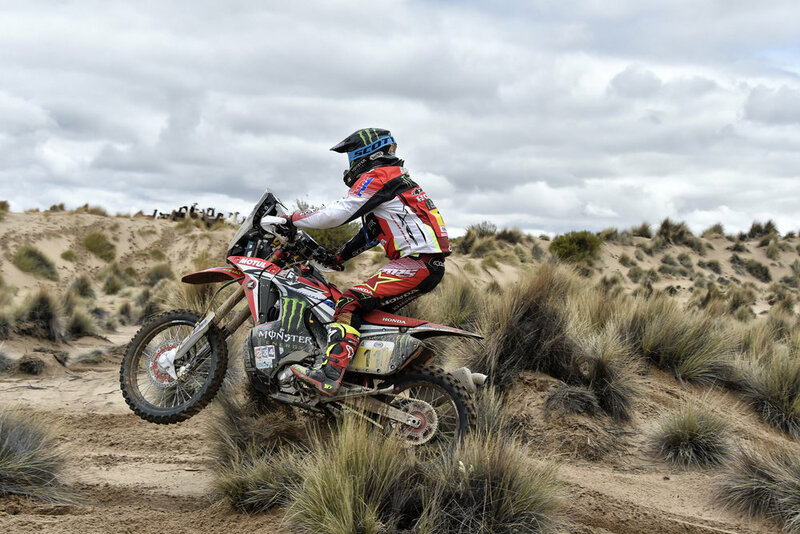 Although yesterday’s re-routing of the timed sections did little to favor the Monster Energy Honda Team, today’s modified stage nevertheless saw the team in an especially gung-ho spirit, going flat out to achieve their goal. 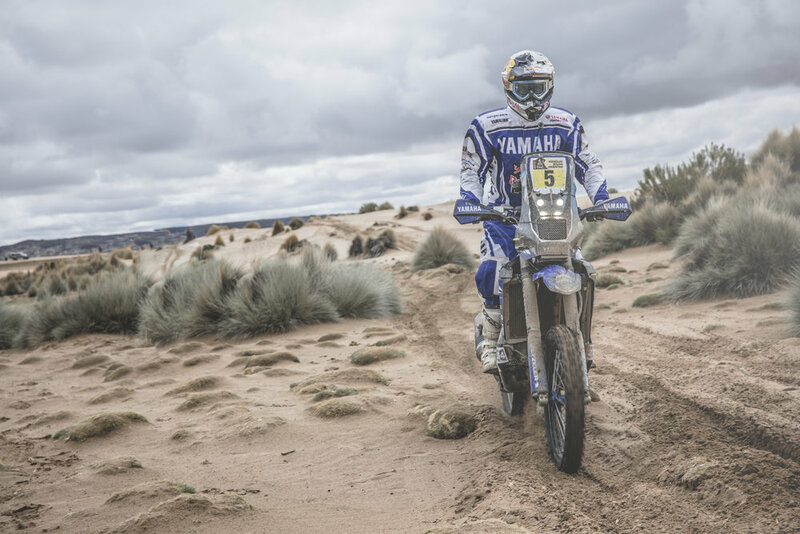 The result was all four of the team placing amid the top six finishers. 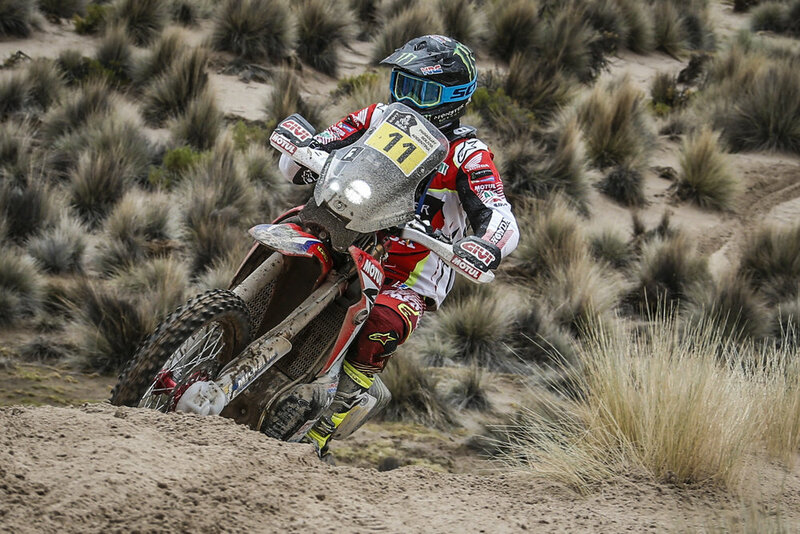 The best of the day was Ricky Brabec, clinching his first Dakar stage win in just his second year of participation. 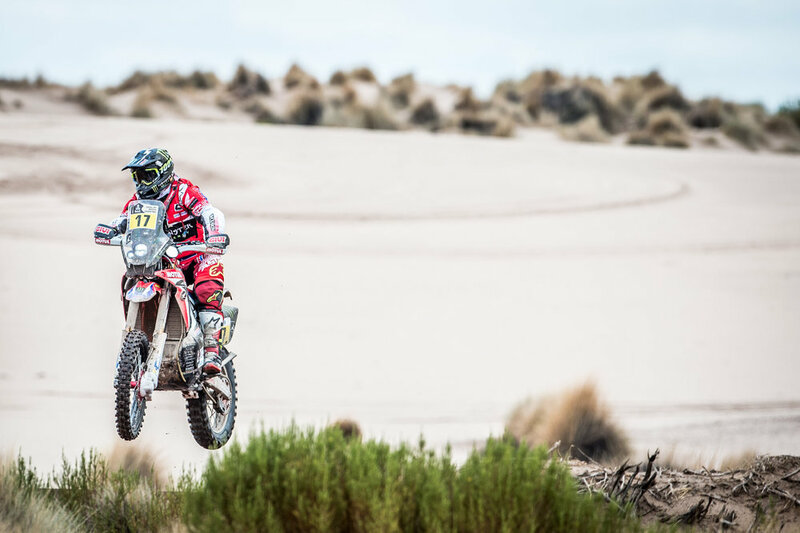 A noteworthy achievement for the American who was able to really let rip on the Honda CRF45O RALLY, chalking up the day’s fastest time and making up positions in the general rankings. 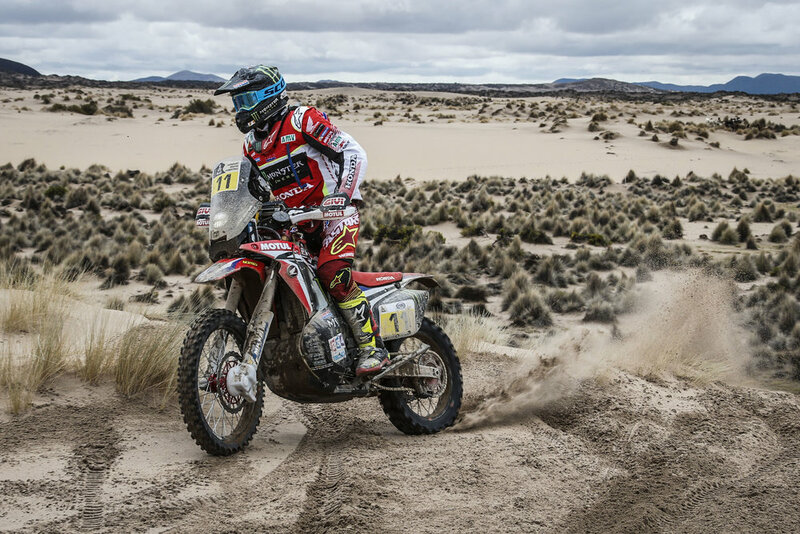 Portuguese team-mate Paulo Gonçalves was on fire today too and made short work of catching up with the rider ahead, before going on to clinch the runner-up spot.